It was Saturday morning and I was in the kitchen cleaning up after making the girls their favorite breakfast of waffles and fruit. From my vantage point by the sink, I had a clear view into my bedroom. My ten year old daughter was lying on my bed, playing on her iPod while the youngest watched TV. One of our favorite songs came on the radio and I glanced through the kitchen to see if they noticed. Nope, both were still thoroughly engrossed in their chosen diversions. Normally when that song comes on, both girls coming running to participate in a family dance off. I glanced over at them again but they still have not noticed; brains focused on the screens in front of them, unaware that they were about to miss out on one of their favorite things – trying to out-dance their mother. Am I doing all I can to teach my children to see the small miracles around them? Deciding that I could definitely do more, an idea began to take shape in my mind. “Girls,” I called from the kitchen. “Get dressed and brush your teeth, we are going on an adventure!” That got their attention, I laughed to myself as I suddenly heard little feet hit the hardwood and run in my direction. “What are we doing?” Chelisa asked with excitement. “I wuv adventwar mommy,” said Brooklynn as she clapped her little hands and jumped up and down. Both girls started squealing and jumping up and down, totally thrilled. I smiled at them, rather pleased with myself. I doubt they would have been much more excited if I had told them we were going to Disneyland. Thirty minutes later my silver Xterra was heading down the highway to a 160 acre pasture about 15 kilometers from our little hobby farm. It was not long before we parked, unloaded the camera and tripod, cautiously climbed over the barbed wire fence and began to slowly walk toward the herd of about 20 mares with their young foals. “I can’t wait to pet the baby horses!” Brooklynn exclaimed excitedly. “These horses aren’t like ours honey. They are basically wild so they are afraid of people. 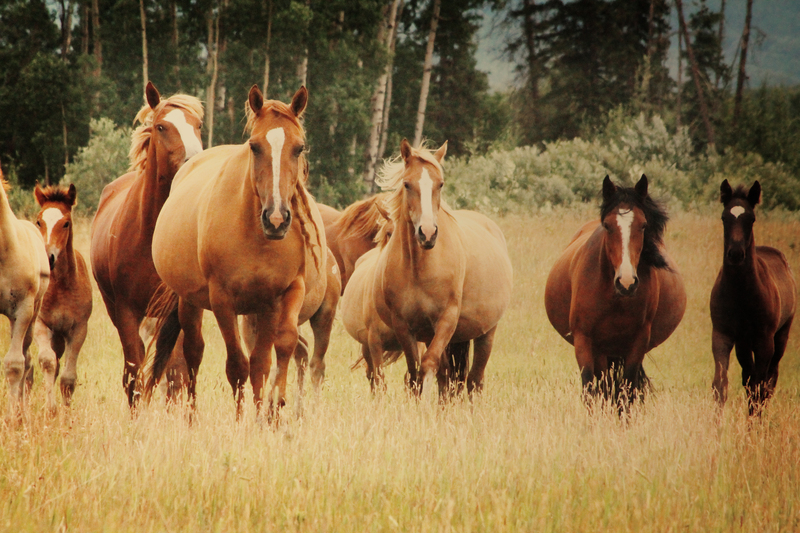 We have to move slowly and quietly or they will run away,” I cautioned in whisper as I took my youngest daughter by the hand in case her wild little ginger personality urged her headlong into a herd of horses. We were no more than forty feet into the field when the mares put their noses to their babies bums and urged them forward into full gallop, taking them deeper into the pasture and away from us. Only a palomino mare and her foal stayed behind to observe us. Suddenly, a magnificent sorrel colored horse appeared behind the pair, urging them to race toward the rest of the herd. Once safely on their way, the beautiful lone horse turned to face us, strong and sure, long mane whipping in the wind. The girls stared in silent awe as I snapped pictures madly, hoping to capture the beauty of what I saw in front of me. After sizing us up for a few moments and feeling no threat, the horse turned, red coat gleaming in the sun and raced to join the rest of the herd. 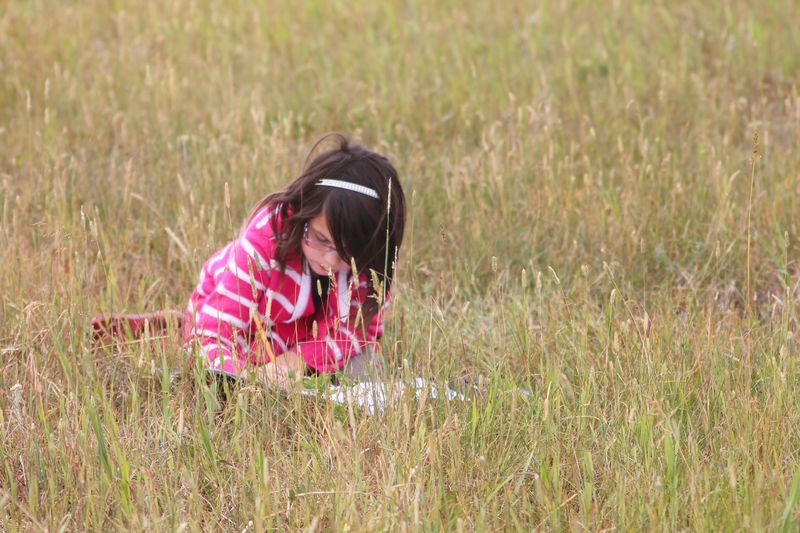 She slid her purple glasses onto her cute little nose, sat in the tall grass and bent her dark head toward her notebook. I could hear the scratching of her pencil as I snapped a few pictures and brushed my hair out of my face as the wind picked up, sending the long strands in every direction. One of my favorite horse trainers, Carolyn Resnick, spent an entire summer as a young girl observing and eventually gaining the acceptance of a herd of wild horses near her home. I looked over at my daughter and wondered if this could be a pivotal moment in her young life. Once her notes were completed, we headed deeper into the pasture in quiet pursuit of the herd. Shortly after setting up again, something truly remarkable happened; a dark palomino mare, with a long twisted mane, intelligent eyes and a confidence of purpose, began to walk toward us, her foal at her side. I lifted my eye from my camera, blinked and stared at her. She was definitely a horse but something about her was strikingly reminiscent of an ancient Indian princess. I was so taken with her that it took me a few minutes to realize that the rest of the mares and foals were falling into place behind her. “She is the lead mare, Chelisa,” I pointed toward the Warrior Princess steadily walking toward us. I glanced over at my daughter and saw that she was nodding her head in agreement, mouth hanging open, just as mesmerized as I was. Suddenly, huge the foaless sorrel horse galloped up from the back of the herd, crossed in front of them and continued toward us. With my camera focused on the magnificent beast in front of me and Chelisa busy taking notes, it was a few moments before Brooklynn’s excited chatter percolated through my consciousness. “Here come the baby horses! I’m going to pet them mommy!” I lifted my head and swiveled it quickly to the left. Warrior Princess had followed the big red horse and entire herd of forty horses were following her and they were all unbelievably close to us! 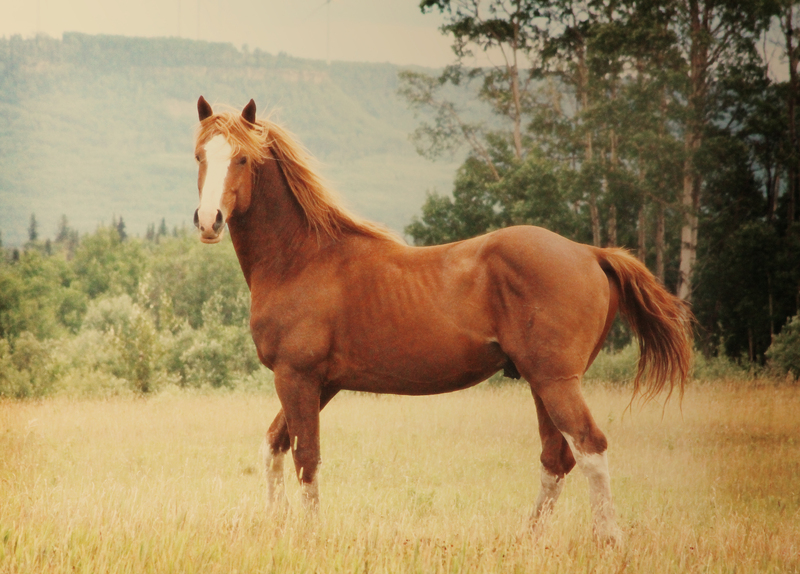 “Holy cow girls, that‘s a stallion!” I stood up quickly, camera hanging forgotten in my hand. I have loved horses from the moment I was born but fear was pounding through my body as I realized that a stallion was dangerously close to us. My daughters and I were in a potentially very serious situation. I shoved the girls behind me with a sick feeling, knowing that we would never make it to the safety of the barbed wire fence. I got outside my fear and looked at the stallion, seeing what was really in front of me rather than what I assumed was. His stance was not aggressive; it was protective. The mares and foals were clustered behind him but they were obviously just curious. As the stallion and I continued to stare at each other, an unspoken understanding passed between us: each of us would protect our families but neither of us had any intention of being the first to attack. In terms of strength and power, the stallion obviously had the upper hand; yet he was offering us the opportunity to share the same space as his family in peace and harmony. 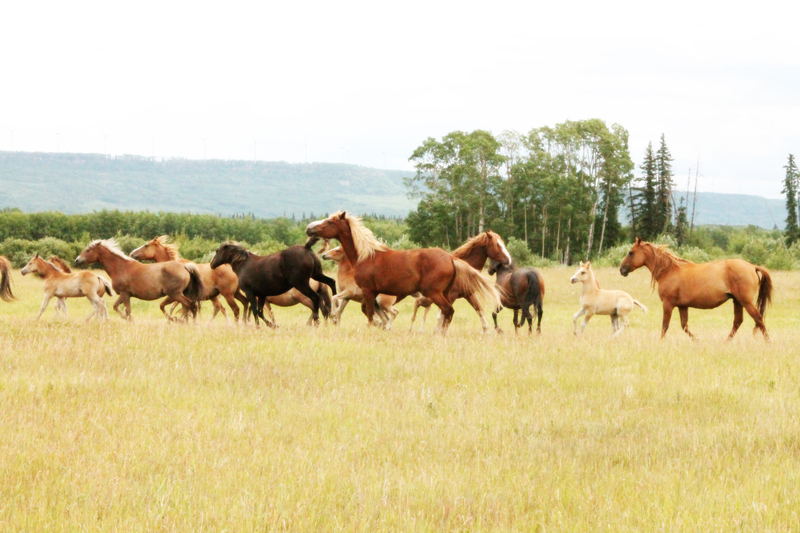 I slowly sank back into the grass, pulling the girls with me while the stallion turned back to his family, herded them to a more comfortable distance and began to graze. “Wow! Did you see how close they were mom? If you hadn’t stood up, I think they might have come right up to us! I was a little scared when you said that big sorrel horse was stallion,” Chelisa’s words were almost tripping over each other in her excitement. As Chelisa began to once again scratch furiously in her notebook, I picked up my camera and thought about all the remarkable things that had just happened. This adventure had started out as a way to get my children to disconnect with electronics and reconnect with nature. 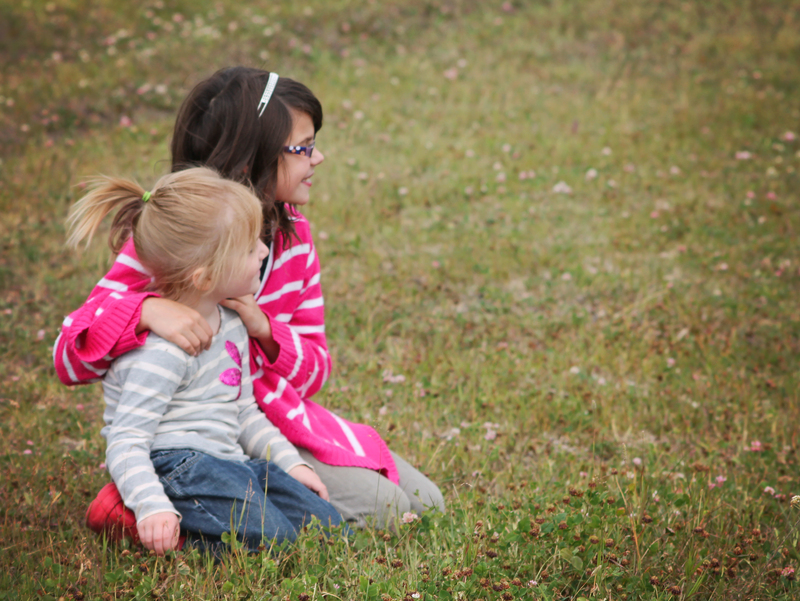 I lowered my camera for a brief moment to look over at my sweet little girls sitting in the grass, gazing at the herd of horses in front of them. The scene in front of me couldn’t possibly be more perfect. Mission accomplished. I had learned a valuable lesson too. I learned that fear can be lie. It’s not always real. 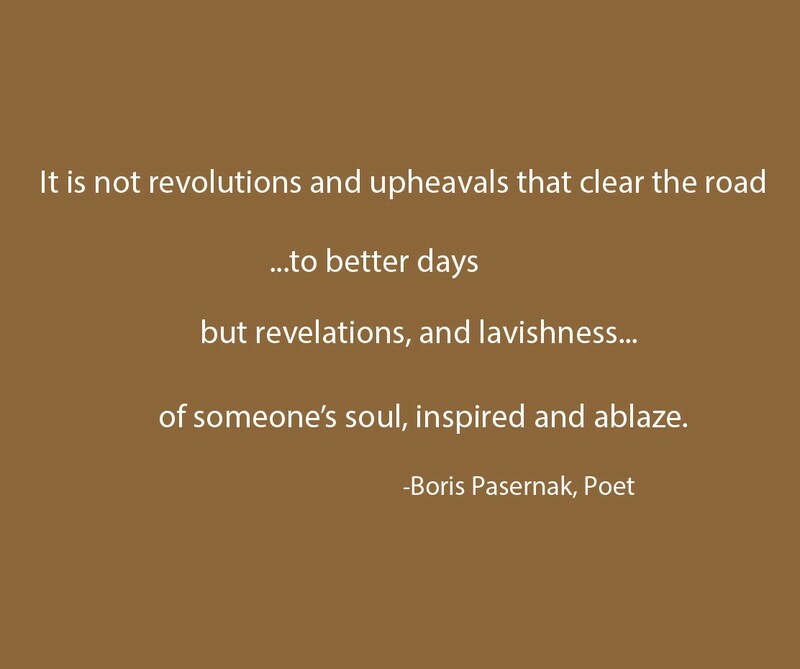 Sometimes past experiences and preconceived notions can lead us to believe there is danger when in fact, there is not. We have to be able to step outside of our fear and examine the situation for what it really is. That can be easier said than done. Day to day life in this modern world does not often allow us the opportunity to be still and listen with a pureness that isn’t clouded by distractions or negativity. In my moment of awareness, I was surrounded by nature. I felt that energetic connection when you vibrate on the same frequency as other living things. Everything else fell away, allowing for a moment of perfect clarity and understanding. we would rise up, rooted like trees. I often fear for the future of mankind. The more we lose touch with nature and fall deeper into slavery with our false, electronic communities and distractions, the more lost and fearful we become. Letting go of fear and soothing our troubled spirits may not be as complicated as we make it. My extraordinary experience with the stallion leads me to believe that the answers we seek are inside of us; but they are being drowned out by the distractions we have created so we don’t have to be alone with ourselves. This week I challenge you to get out into nature and disconnect from all of the meaningless electronic stuff. Listen to the wind rustling the leaves, the birds chirping, the bees buzzing and let earth’s intelligence send your soul a bit of wisdom. If you would like to see more pictures of our amazing adventure, please join us on Facebook.